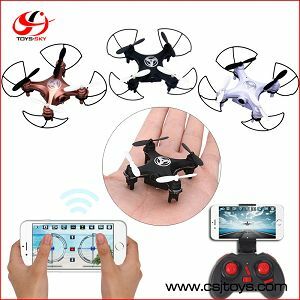 Description: Weight of Product(g):	12 Diameter of Blade(mm):	30 Product battery:	3.7V 100MAH Transmitter battery:	2*AAA 1.5v dry battery Charging time:	about 30mins Flying time:	about 4-5mins Spare parts:	Aircraft(Include battery)*1,Transmitter*1,Guard circle*1，Fender*2,USB Charging Line*1, Manuals (Chinese & English)*1	Functions & Selling Points	*Can be operated in 3 flying modes. Low speed mode can be used when flying indoor and high speed mode can be used when flying outdoor;	*6 axis gyro provides stable flight and easy operation; *It has the functions of 4 channels: Ascend/ Descend; Forward/ Backward; Left Sideward Fly/ Right Sideward Fly; Turn Left/ Turn Right; Hover and keen operation;	*Can perform 3D flips/rolls (forward/backward, left/right). *It is equipped with a battery protection module to protect and prevent overcharging the battery. *The RC range: about 25m. Flying height：about 25m. *It is equiped with multi-color LED lights making the flight more spectacular especially in the dark. 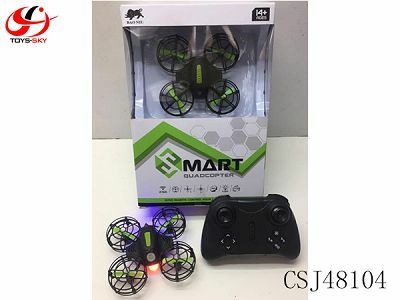 Description: Weight of Product(g):	15 Diameter of Blade(mm):	30 Product battery:	3.7V 150MAH Transmitter battery:	2*AAA dry battery Charging time:	About 30mins "R/C Distances： "	About 25m Flying time:	About 5mins Colors：	Colorful、Camouflage Spare parts:	Aircraft（Include battery）x1,Transmitterx1, blades x2,USB Charging Linex1, Manual (Chinese & English)*1 *4 Channel Transmitter: Ascend/ Descend; Forward/ Backward; Left/Right; Left/Right rotation; Throw to Fly etc.